“The trip that changed everything”. Those of us who travel, for whatever reason, can often relate to this statement. 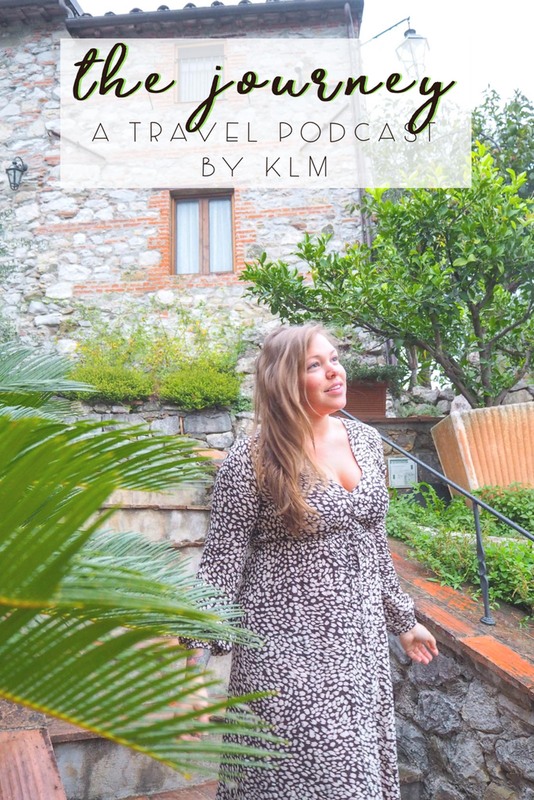 Whether it’s a moment from a trip that resonates with us forever or an entire voyage that sticks with us and modifies life as we know it, the concept behind KLM Royal Dutch Airline’s recent podcast, “The Journey” Podcast is a series nearly every traveler can relate to. “The Journey” Podcast tells stories of extraordinary people whose lives have been transformed from travel. Listening to KLM podcasts had me feeling nostalgia about who I was before travel was a part of who I am. Episode three recaps The Journey of Dina Kaplan, an entrepreneur who was working in the hectic New York startup scene. Without getting too much into detail and spoiling the story for you – all I can say is that I related so hard to Dina’s story. Minus brushing shoulders with Warren Buffet, and being featured in Fortune magazine as one of the most powerful female entrepreneurs, of course. My journey is a little different, although paralleled, with Dina’s. In 2015 I had nearly everything going for me. A beautiful apartment in sunny Miami, Florida and a booming career as a self-employed business manager and social media consultant. One of my clients was an exotic car rental company and part of my gig was actually driving Lamborghinis, Rolls Royce’s and Ferrari’s around Miami Beach. Talk about having it made. But, I was working every, single, day – sometimes Even 16-18 hour days. While on the outside I had it all, on the inside I was screaming. I wasn’t fulfilled. I wasn’t happy. I knew in my heart that what I was looking for, the feeling I was yearning for – was somewhere out in the world and I knew that I had to go chase it. I packed up my apartment and booked a ticket to Europe where I planned to spend six weeks, on my first international solo trip, exploring seven countries. I flew from Boston to Paris where I spent a few days taking in the city and eating all of the pastries and baguettes. After Paris, I took the train up to Brussels, Belgium where I considered canceling my trip because of a blister on my foot. I wish I was joking, but my insecurity levels at that time were that high that I actually considered canceling five weeks of a trip because of a blister. 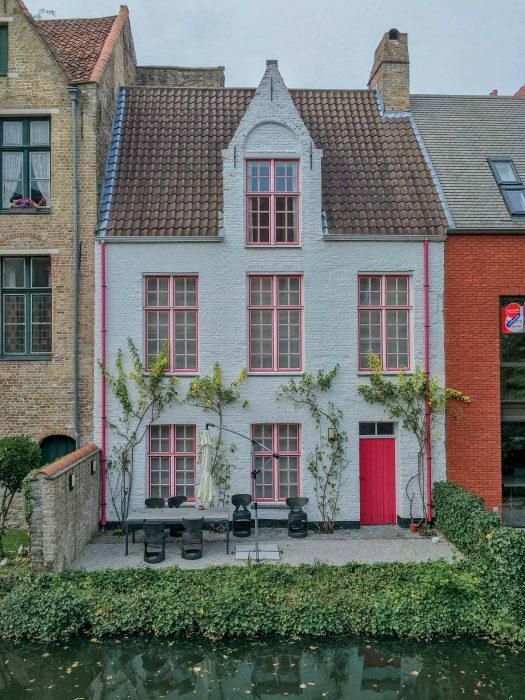 Instead, I got a new pair of sneakers and made my way to Brugges, Belgium which is easily one of the prettiest villages I’ve ever explored in Europe! After my first few hours in Brugges I was able to shake the insecurity and walked, blister in tow, all around the quaint little city. How cute is this canal front home in Brugges?! My next stop was Amsterdam where I spent three nights making my way from frites (fries) stands to flower stalls and every cute café in between. After Amsterdam, I flew to Prague, Czech Republic where I contracted the worst sore throat, ever. Another excuse for me to consider calling it quits and head home. Instead, I forced myself to get out of bed and explore Prague with my sore throat and fever because I was, after all, only there for three days. Even with my sore throat and fever, I managed to crack a smile while selfie’ing with Charles Bridge in Prague. I was a little nervous to take the overnight train from Prague to Ljubljana, but again, I found confidence in pushing myself out of that comfort zone I was so familiar with and within five minutes of walking along the beautiful Ljubljanica river – I had shed the fears and anxieties again. From Ljubljana, I made it to Croatia where I spent eight glorious days making my way from Zagreb, the capital in the north to Dubrovnik in the south. After Dubrovnik, I took an overnight ferry to Bari, Italy and took a series of trains that took me to Sorrento, where I hopped on another ferry to Positano. For those of you unfamiliar with the Amalfi Coast, it’s possibly one of the most beautiful slices of earth. Colorful homes and businesses are build right into the side of a steep mountain that overlooks the gorgeous blue hues of the Tyrrhenian Sea. Lemon and bougainvillea trees cascade the mountains making the views that much more picturesque. 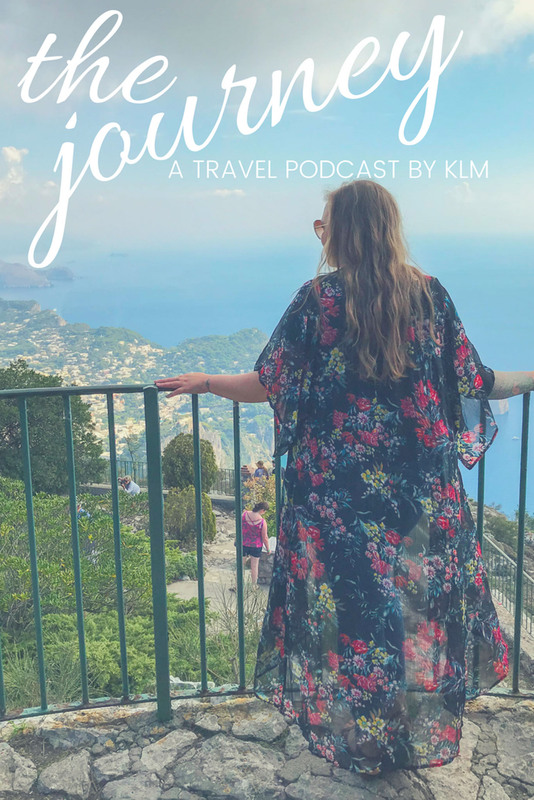 The Amalfi Coast is a place that can bring almost anyone to a mindset of gratuity and a state of happiness – and for me, it did. I was in a beautiful hotel in Positano, overlooking the town and the sea from my balcony when it just clicked. I was happy. I was grateful. And in that moment I started to cry – not because anything was wrong, but because everything was right. 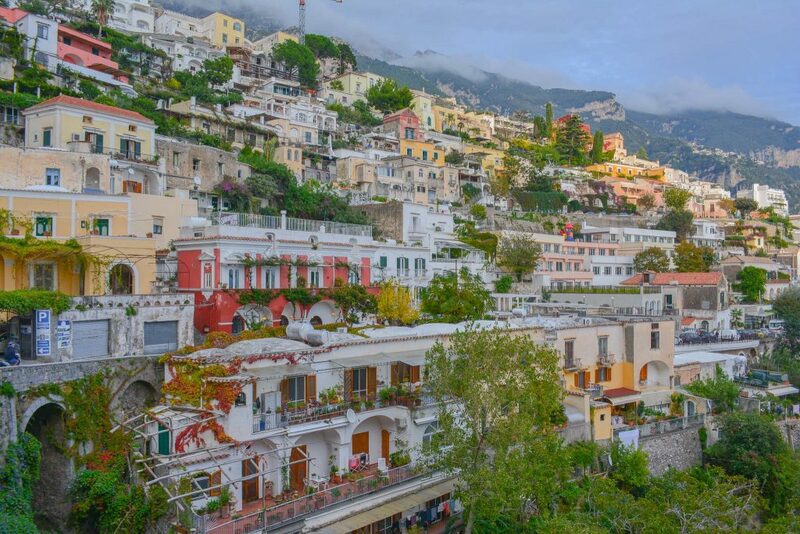 These Positano views might bring a gratitude tear to almost anyone’s eye! It didn’t take three months, but something had definitely changed in me and those changes have totally stuck with me, for life. 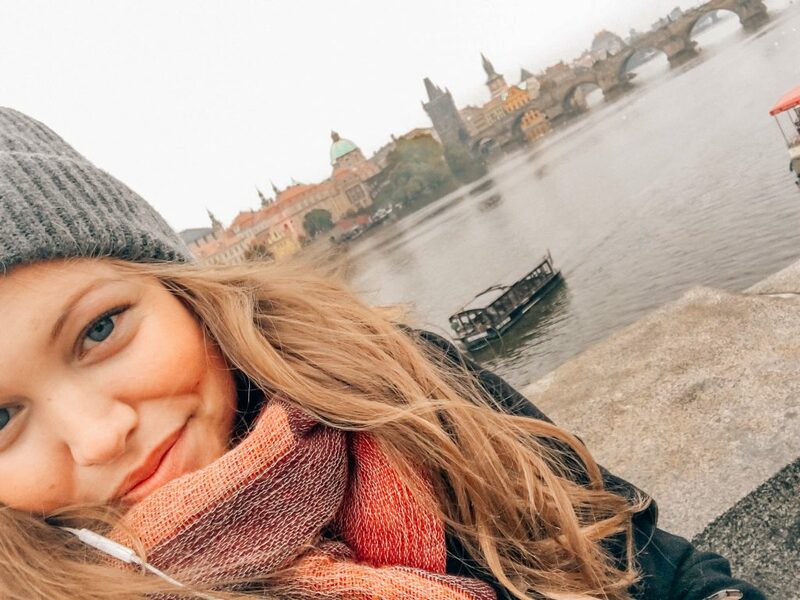 A few months ago I even wrote about, “How Travel has Changed Me” because I truly feel that of all the things I’ve discovered along my journeys, along all my adventures, across over 30 countries – myself has been the greatest thing of all. The title of KLM’s “The Journey” implies stories about travels (and does, also provide stories of travel). But, it seems the common theme amongst the episodes and amongst travelers alike is the journey within. Do you have a story of a journey that changed everything for you? You can even be featured on KLM’s “The Journey”! Submit your stories to podcast@klm.com for a chance to have your story featured on “The Journey”. *Disclaimer: This post was written in collaboration with, and sponsored by, KLM Royal Dutch Airlines. My opinions, as always, remain my own. I absolutely loved this post and am now more inspired for my next solo adventure. I am going need to listen to the podcast immediately.